Bambolim, Goa, 8/8/2014 : Champions Club, the extended luxury concierge entity of Champions Group, established by Social Entrepreneur, Eminent Visionary, and Philanthropist Mr. Subhakar Rao Surapaneni is excited and geared up to be an active part of the much talked about GoaInstawalk 2.0 this weekend. With the target audience being avid — a combination of both new school Social Media enthusiasts, instagrammers & four-squarer’s and peaceful old-schoolers, they promise a common vision of protecting and caring for the environment. “This initiative which aims at exploring unexplored spots in Goa is truly going to be a memorable one,” adds Mr. Subhakar Rao Surapaneni. The objective is to showcase the greener side of Goa during monsoons, and also to create awareness of the legacy and rich cultural heritage that the state has to offer. Connect to context is paramount and GoaInstawalk2.0 has exactly done that through this noble CSR initiative. The “S.H.E” policy coined by Mr. Subhakar Rao Surapaneni on the wake of the recently held “Go Green Run” for Bengaluru targeting corporates, i.e. Safety, Health & Environment, was on similar lines. Participants ran for the cause thereby ensuring better Safety to environment, restoring a state of active Health & equilibrium, and lastly, by promising to take a firm unison stance of protecting and caring for the environment,” adds Prajwal Viswanath, PR Head, Champions Group. The man behind all this is Mr. Subhakar Rao Surapaneni who also very recently introduced “Experiential tourism,” “Eco Tourism,” and “Mangrove Tourism” in the Goan Market as well. Mr. Subhakar Rao Surapaneni holds the Goan Market and the Goa Tourism Development Corporation in high esteem for warmly accepting his ideas adds that this initiative will “rise the spark” in today’s digitally hyper ‘Y’ generation. And going by the registrations & conversations happening digitally; Mr. Subhakar Rao Surapaneni is indeed what they call a Marketing Extraordinaire as the numbers are nothing but super impressive. “One look at #GoaInstawalk2.0 and we already see how the response has become viral already. More than 50+ Photo walk enthusiasts have already registered and more are expected to register by tomorrow,” adds a senior official from GTDC. Mr. Subhakar Rao Surapaneni, Nature activist and Chairman Emeritus of Champions Group adds that “Exclusivity is paramount here.” This is where he wants to highlight the essence of being a champion who cares for a noble cause like this and make them feel special or make them stand out to the world for being a part of the pro development agenda. Participants share/tweet us/blog us with your walking photos to @champions_group using the hash tag #championswalk along with #GoaInstawalk 2.0. Lucky winners will be displayed on huge RVA i.e. Real Video Advertising Interactive based LED screens across Goa. “Contenders can also obtain some cool interactive LED merchandize at the venue if they are lucky or early enough,” wraps up Mr. Subhakar Rao Surapaneni who is interested to be a part of the walk himself which will start at Mahadev Temple at Tambdi Surla and Fountainhas respectively. Calling out to all instagrammers, photographers, and photo bloggers to join hands with Goa Tourism and Champions Club for the walk. This is your chance to make it more memorable if you love Goa the way it has always been. 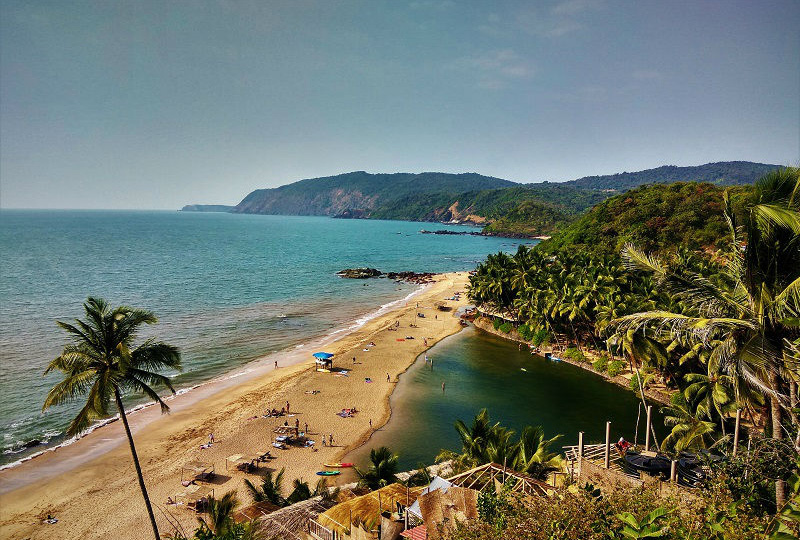 The Goa Tourism Development Corporation Ltd. (GTDC) carries out tourism commercial activities like conducting sight-seeing tours and river cruises. It also manages 12 hotels with a total of 525 rooms. The state of Goa, India, is famous for its beaches and places of worship, and tourism is its primary industry. Tourism is generally focused on the coastal areas of Goa, with decreased tourist activity inland. Foreign tourists, mostly from Europe, arrive in Goa in winter whilst the summer and monsoon seasons see a large number of Indian tourists. Tourism is said to be the backbone of Goa's economy.